The largest rebellion in the history of Spain's American empire--a conflict greater in territory and costlier in lives than the contemporaneous American Revolution--began as a local revolt against colonial authorities in 1780. As an official collector of tribute for the imperial crown, Jose Gabriel Condorcanqui had seen firsthand what oppressive Spanish rule meant for Peru's Indian population. Adopting the Inca royal name Tupac Amaru, he set events in motion that would transform him into Latin America's most iconic revolutionary figure. 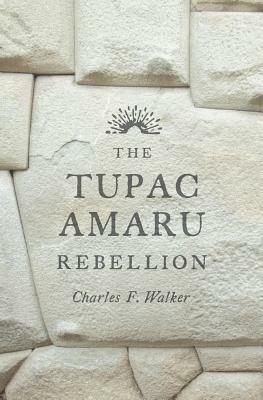 Tupac Amaru's political aims were modest at first. He claimed to act on the Spanish king's behalf, expelling corrupt Spaniards and abolishing onerous taxes. But the rebellion became increasingly bloody as it spread throughout Peru and into parts of modern-day Bolivia, Chile, and Argentina. By late 1780, Tupac Amaru, his wife Micaela Bastidas, and their followers had defeated the Spanish in numerous battles and gained control over a vast territory. As the rebellion swept through Indian villages to gain recruits and overthrow the Spanish corregidors, rumors spread that the Incas had returned to reclaim their kingdom. Charles Walker immerses readers in the rebellion's guerrilla campaigns, propaganda war, and brutal acts of retribution. He highlights the importance of Bastidas--the key strategist--and reassesses the role of the Catholic Church in the uprising's demise. The Tupac Amaru Rebellion examines why a revolt that began as a multiclass alliance against European-born usurpers degenerated into a vicious caste war--and left a legacy that continues to influence South American politics today.